Hyypiä: "Added depth and quality throughout"
Leverkusen - Sami Hyypiä goes into 2013/14 in sole charge of Bayer Leverkusen for the first time, having previously worked in tandem with Sascha Lewandowski. 40 Bundesliga matches under the duo delivered a healthy return of 79 points and a berth in the UEFA Champions League proper courtesy of a third-place finish in the table last time out. With Lewandowski having returned to youth team duties, bundesliga.com spoke with 39-year-old former Finland international Hyypiä about his rejigged role as head coach and Bayer's prospects for the campaign ahead. bundesliga.com: Sami Hyypiä, last season you and Sascha Lewandowski guided Bayer Leverkusen to third in the Bundesliga and a group stage place in the Champions League. How has your work changed and how much of an adaptation process is it now that you're in charge of the team on your own? Sami Hyypiä: Obviously I gained a lot of experience last season and it was a learning curve, without a doubt. Now I've got the responsibility of being head coach, for sure, but I also have an assistant team I can rely on completely. The modern game has become so complex that you can only achieve anything in tandem with the coaching staff and the team. bundesliga.com: Are you satisfied with the pre-season preparations so far and the condition of the team at the moment? Hyypiä: The preparations have been thorough and intensive. Fortunately, we've been spared any serious injury problems. Now we're focused on the fine-tuning and looking forward to getting started in the DFB Cup and, of course, against SC Freiburg in the Bundesliga. bundesliga.com: You now have all your new signings in training as well. What sort of an impression are they making? Hyypiä: We've added quality and depth throughout the team. And there might be one or two more transfers concluded yet. bundesliga.com: What are you expecting from Giulio Donati? Hyypiä:Giulio Donati's job will be to keep things tight down the right at the back and get forward as appropriate as well. He's making a solid impression and we'll see how things develop over the season. bundesliga.com: Do you think Robbie Kruse and Roberto Hilbert can make the leap to becoming first-team regulars, or are they more likely to be used as back-up? Hyypiä: It's not a matter of "first-team regulars" or "back-up players" here! Robbie Kruse and Roberto Hilbert each have an important role to play in the team. We're competing on three fronts this season, on top of which a lot of players have international commitments as well. I've no doubt at all that they're going to do a significant job for us over the course of the campaign. bundesliga.com: The arrival of Heung-Min Son looks to have been Bayer's stand-out signing of the summer. Will he be able to compensate for the loss of Andre Schürrle at the drop of a hat? And what are his main strengths, in your view? Hyypiä: Heung-Min Son came on really well at Hamburger SV last season. Now we're hoping he can use his speed and scoring ability to even better effect for Leverkusen. He's obviously going to need to be given a bit of time, but the last thing I'm concerned about in that regard is whether he can replace Andre Schürrle one-for-one. Hyypiä: It's no secret that Bayer Leverkusen are still looking around in the forward department. The transfer window closes on 31 August, so we'll see what happens before then. bundesliga.com: Over the past decade, Bayer have struggled to compete in parallel in the Bundesliga and Champions League with any great success and have not managed to qualify for the last two seasons running. How can that challenge be met? 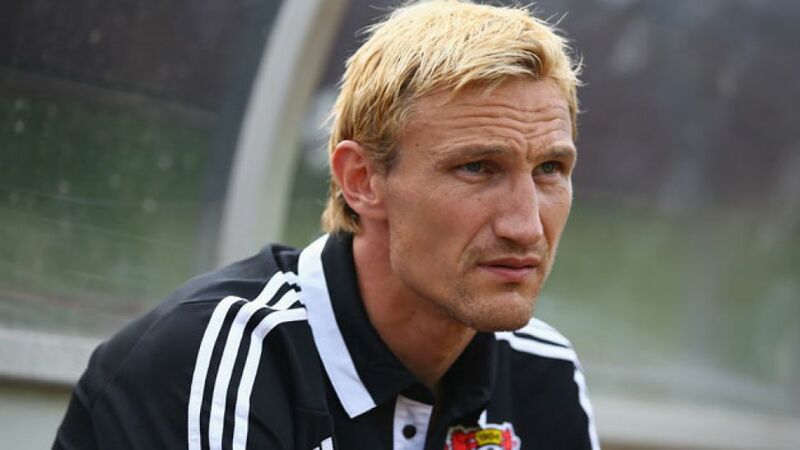 Hyypiä: Bayer Leverkusen's aim is always to qualify for Europe. In the past four years we've done that, twice each in the Champions League and Europa League. Parallel to that, we've come through the group stage of those tournaments every time. By that criterion, Bayer Leverkusen are well able to compete both nationally and internationally. bundesliga.com: What are your aims for the coming season - is third place as good as it can realistically get in the Bundesliga, with FC Bayern and Dortmund too far out in front? What can Leverkusen get out of it? Hyypiä: As I said, Bayer Leverkusen are always looking to qualify for Europe. There are 34 games to be played in the Bundesliga and I'm not at all convinced that it's set in stone that Bayern and Dortmund are out there in a league of their own.